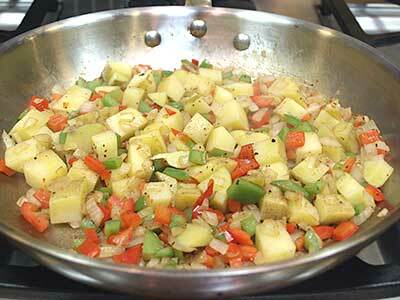 Using the spray olive oil and lightly caramelizing the onions and then adding the potatoes that have been slightly precooked makes delicious home fries. 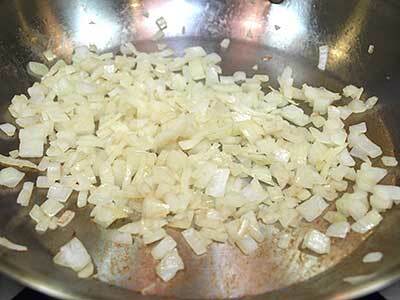 The natural starch in both the onions and potatoes is enough to bind them together slightly. By pre-cooking the potatoes slightly the home fries don't have to cook too long to be soft on the inside and slightly crispy on the outside. 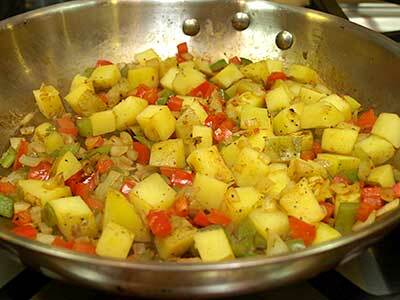 Here's the recipe for Home Fries with Peppers without the pictures. You can print the recipe by clicking the print icon at the top of the right-hand column. Be sure to turn off any popup blockers, as it opens in a new window. Top row, left to right: spray oil, onion, green bell pepper. Bottom row: black pepper, salt, Yukon Gold potato, red bell pepper. First, dice the bell peppers and dice the onion. 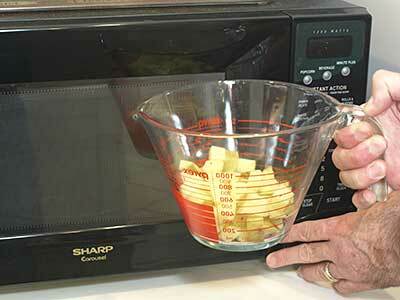 Cut the potato into 1/4 inch chunks. 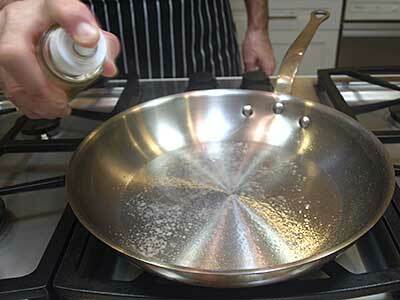 Place a large skillet over medium-high heat and spray with oil. Cook for about 7 to 10 minutes. 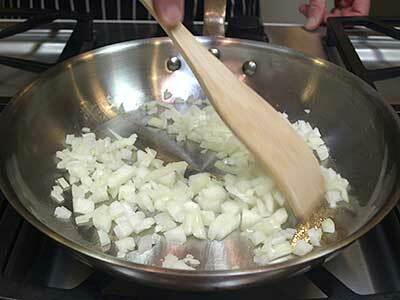 Stir frequently until the onions begin to brown. 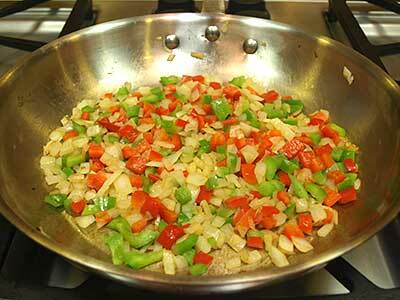 Add the green and red peppers. 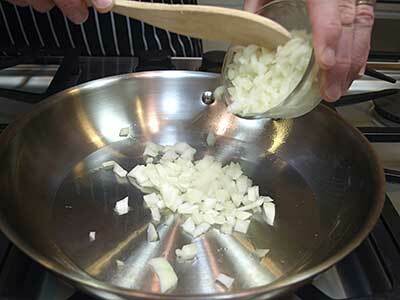 Cook the peppers and onions for about 2 minutes. Stir frequently. 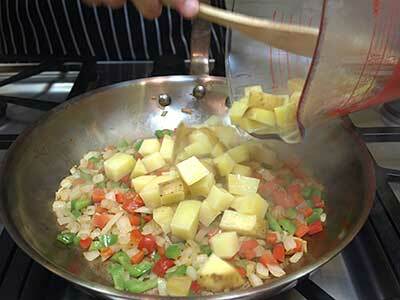 Add the potatoes. 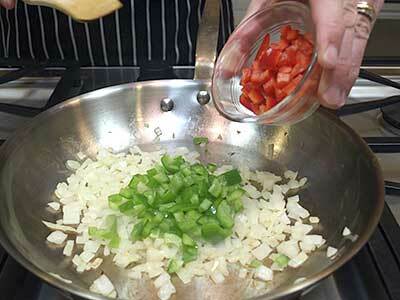 Toss to blend well with the other ingredients. 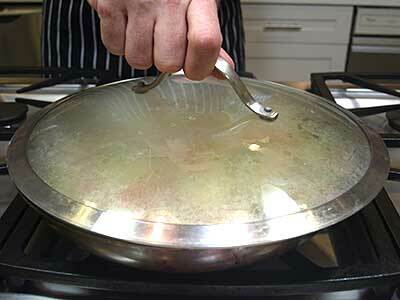 Cover and cook, stirring every 2 minutes and allowing the water condensed inside the lid to flow into the pan. 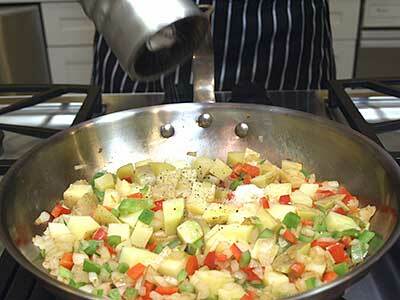 As the potatoes cook the carbohydrates in the vegetables will caramelize. The liquid will keep the potatoes moist. 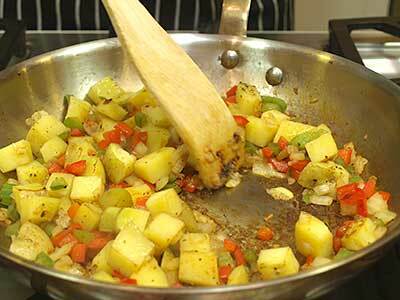 Scrape the browned (caramelized) bits from the bottom of the pan and stir into the potatoes. 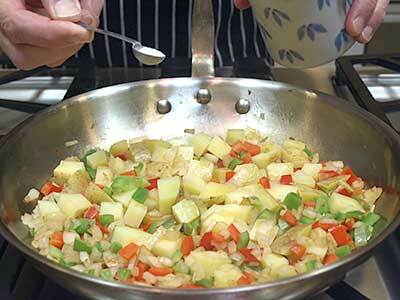 The Home Fries are done when the potatoes are tender.